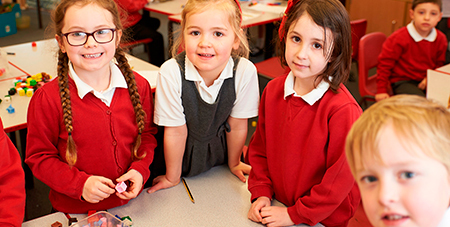 St Mary’s is a friendly and welcoming, Church of England voluntary aided school that welcomes applications from parents who wish their child to attend the school. The application process is in accordance with the co-ordinated scheme for primary admissions and involves completion of the Common Application Form. Our CofEVA status informs our school-led vision of a learning environment which seeks to be life-enhancing, other-focussed, building valour, courage and resilience in all members of the school community, and open to everyone. The Christian value of love underlies our mission to be an inclusive school for those of any or no faith, and is reflected in our admissions criteria. For admission to the 2019/20 school year, and subsequent years, admission authorities for primary schools must provide for the admission of all children in the September following their fourth birthday. Parents have a statutory right for their child to take up a full time place at this time. Parents can request that the date their child is admitted to the school is deferred until later in the school year or until the child reaches compulsory school age in the school year i.e.the start of the term after the child’s fifth birthday. Parents can also request that their child attends part time until the child reaches compulsory school age. Parents cannot, however, defer entry beyond the beginning of the term after the child’s fifith birthday, nor beyond the end of the academic year for which the original application was accepted. Children with a statement of Special Educational Needs naming the school will be admitted. Applications and offers of places will be handled in accordance with the co-ordinated admissions scheme published by Essex County Council in the Primary Education in Essex booklet. 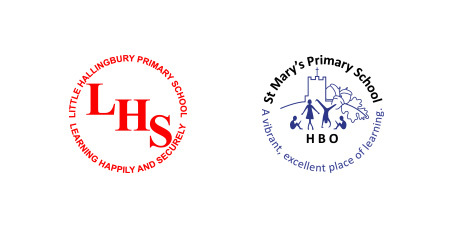 Children who have any siblings who live at the same address at the School at the time of application unless the older child is in Year 6 at the time. 4. Children who have medical, pastoral or social reasons for attending this school supported by professional evidence indicating why this is a suitable school for them. 5. Children of parents who seek a Christian education, who are active members of a church and whose minister can support their application. 6. The proximity of the child's home to the school is considered: those living nearer, measured in straight line proximity, will be accorded higher priority and this will be used in the event of over subscription after having applied the above criteria. The Approved Admissions Number for the school is 16. Essex County Council will hold waiting lists in priority order according to the schools’ admissions criteria until the end of the first week of the Autumn Term. We will hold the waiting list until the end of the first term. If an application is refused, parents have the right to appeal to an Independent Appeal Panel. Information about how to appeal against a refusal of a school place will be sent with the offer pack. Notice of appeal should be sent to the Independent Appeal Panel, PO Box 11, Chelmsford, CM1 1LX. Any applications for a place at the school which are made once the academic year is underway should be made directly to the Local Authority.